We are proud to announce that Jim Motsay has recently completed negotiation training at Harvard Law School in the Program of Instruction for Lawyers/Program on Negotiation. This is a very prestigious honor and strengthens our commitment to our client to provide the best possible legal services. As a Harvard Trained Negotiator, Jim is part of an elite group of attorneys across the country that carries this distinction. We wish to congratulate James W. Motsay on his election as a member of the Board of Directors for the Maryland Collaborative Practice Council (MCPC) and his election as secretary to the Board. 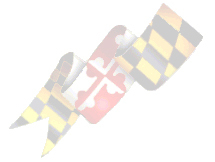 Maryland Collaborative Practice Council is a statewide organization established to act as the umbrella group for Collaborative Law in the State of Maryland. MCPC will promote cooperation among practice groups, coordination of training, publicity and publication of collaborative law in Maryland. Mr. Motsay will also serve as Chairman of the Statewide Networking committee. Jim will continue to serve on the Board of Directors of the Maryland Collaborative Law Association, Inc.